No matter how energy-efficient your appliances are, there is always at least a little guilt associated with using electricity for people who are environmentally conscious. Somewhere down the line, the chances are that the electricity powering those appliances came from a planet-harming source. 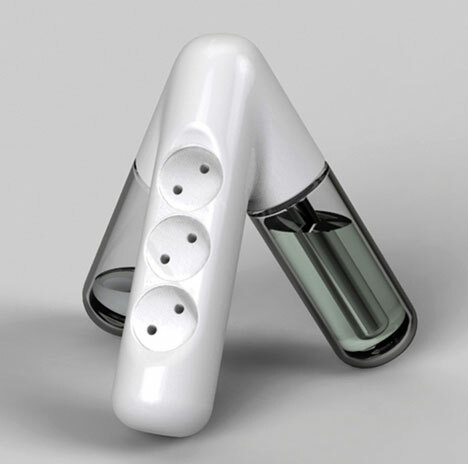 This interesting concept product from designer Jun Hyuck Choi, Jooyeon Kim and Sungi Kim would take away the guilt and provide clean power for up to three devices at a time. 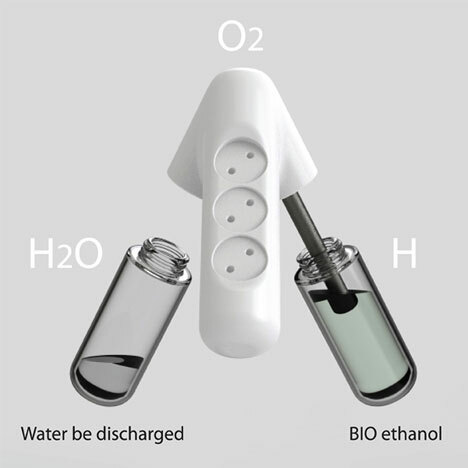 The Eco Power Strip works on the concept of electrolysis: two liquids combine to create electricity. The small devices certainly wouldn’t be powerful enough to provide juice for a washer and dryer, but they could provide enough power to charge a mobile phone or MP3 player. We aren’t likely to see this concept replacing house outlet power anytime soon, mostly because of its relatively low power output. 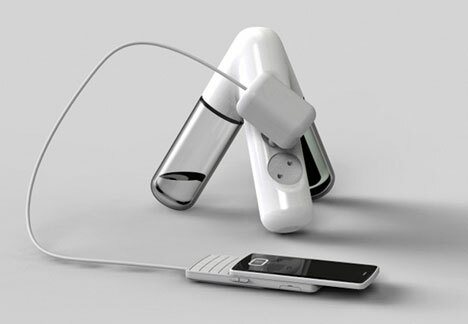 But we have to admire the designers for thinking outside of the box and coming up with an alternative power source that is actually possible and which makes sense – at least on the small scale. See more in Unbuilt Concepts or under Technology. January, 2011.